On Interstate I-75 to Exit 358, Go (West) on CR 326 one mile. Right (North) on 60 th Ave. Go one mile to farm on left. 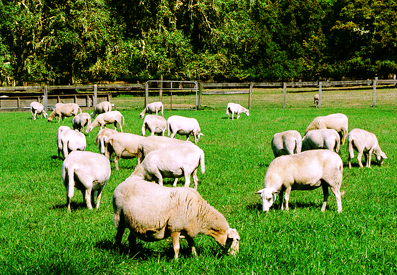 The primary goal is to produce the ultimate commercial ewe producing grass fed lambs. Good health, parasite resistance and strong maternal/lamb instincts are important at Fairmeadow Farm.